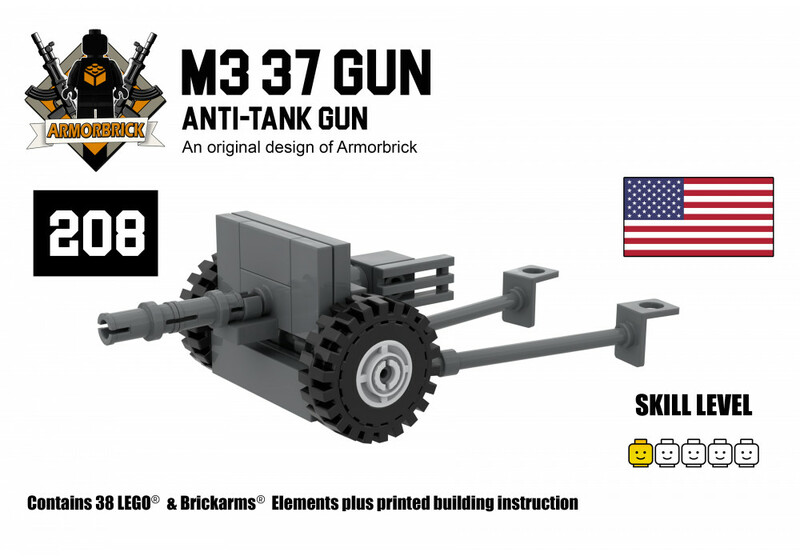 Contains 38 LEGO & Brickarms Elements plus printed building instruction. 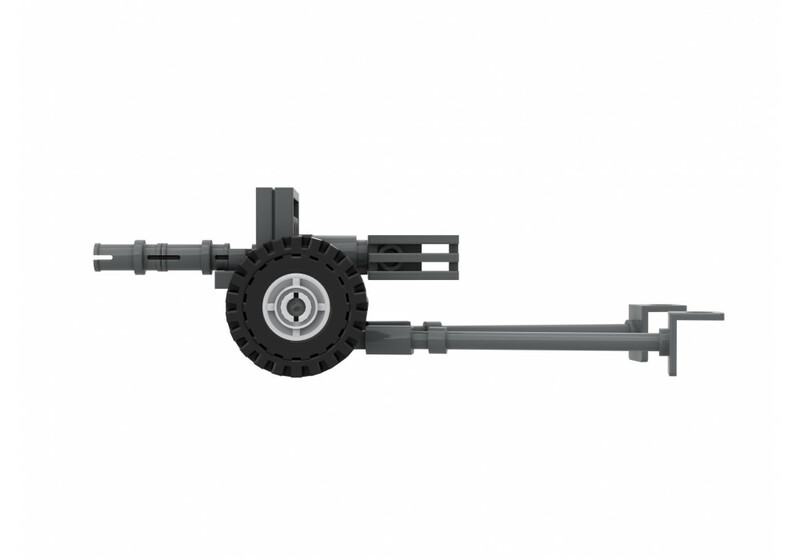 The 37 mm Gun M3 is the first dedicated anti-tank gun fielded by United States forces in numbers. Introduced in 1940, it became the standard anti-tank gun of the U.S. infantry with its size enabling it to be pulled by a jeep. However, the continuing improvement of German tanks quickly rendered the 37 mm ineffective and, by 1943, it was being gradually replaced in the European and Mediterranean theaters by the more powerful British-developed 57 mm Gun M1. The barrel was of one-piece forged construction, with uniform rifling (12 grooves, right-hand twist, one turn in 25 calibers). The breech end of the barrel was screwed into a breech ring. The breech mechanism was of vertical sliding-block type. The barrel was fitted with a hydrospring recoil system. 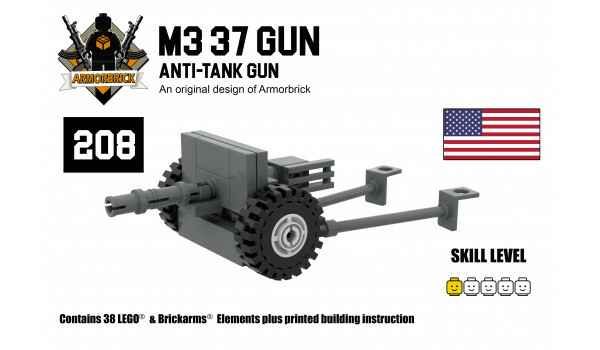 All Armorbrick model kits are made of new-condition LEGO bricks. 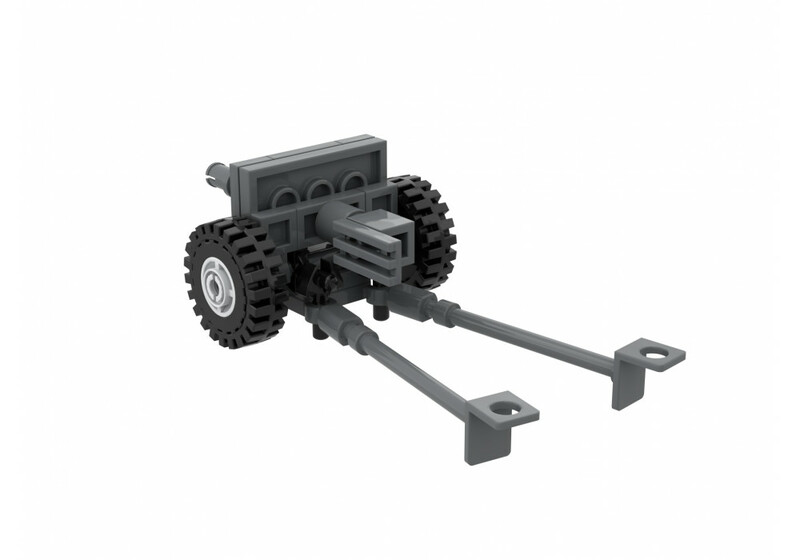 This model comes disassembled and includes complete printed building instructions and comes packaged in a sealed box. This is a limited-edition kit and production may be discontinued at any time.